How Worried Is the Romney Campaign About Losing Michigan? Gogebic, over a hundred miles across Wisconsin from Duluth, has just 16,000 people. It’s 96% white, and fairly old, but it’s not Republican. They’re closed now, but this used to be an area of iron and copper mines. A strong union tradition, along with the leftist heritage of the heavily Finnish inhabitants of the area, has helped make Gogebic one of the most reliably Democratic places in Michigan. Barack Obama won Gogebic by 17 points; Gogebic has gone Democratic in every presidential election since 1972. Since it’s a sparsely populated area that leans strongly Democratic, it’s no surprise that Gogebic accounted for a small share of the 2008 Republican primary vote. 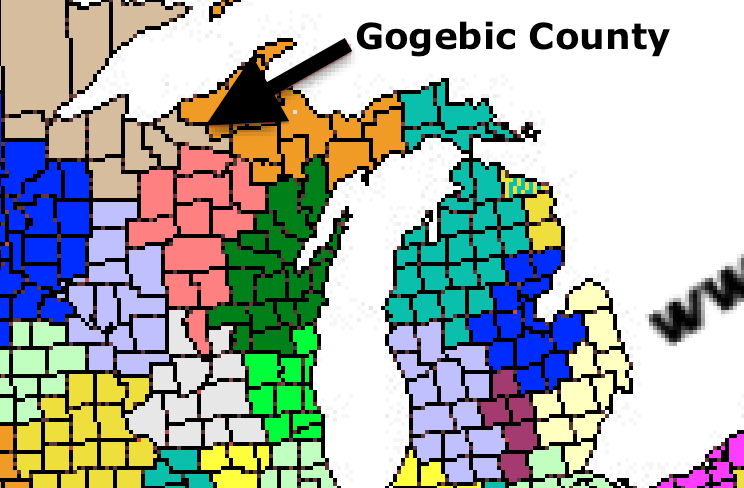 Minuscule, in fact: with 896 votes, Gogebic contributed about one one-thousandth of the vote. Mitt Romney’s campaign is currently paying to run advertisements that will seen by people across northern Minnesota and Wisconsin in an attempt to influence fewer than 1,000 people in one of the most strongly Democratic places in Michigan. 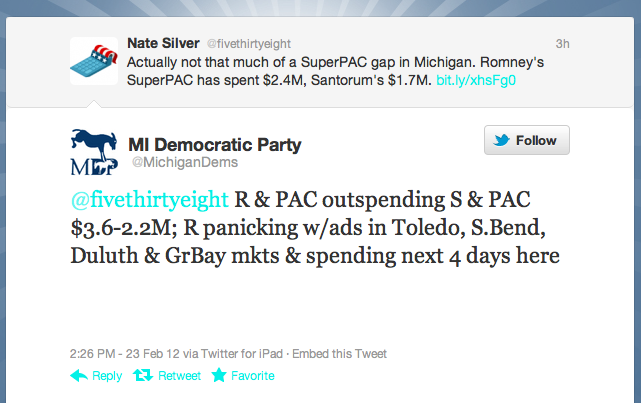 You could marvel at the thoroughness of the Romney campaign and its allied Super PAC. But you could also shake your head at their inefficient spending, and ponder the fear that’s probably driving it.